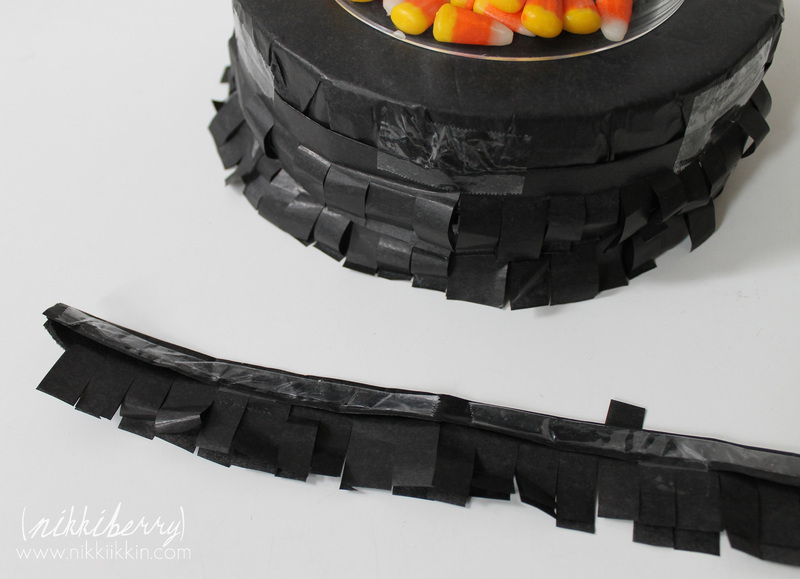 This last Quick and Easy Halloween Party Idea is a table top decoration made from a combination of items you might already have around the house. 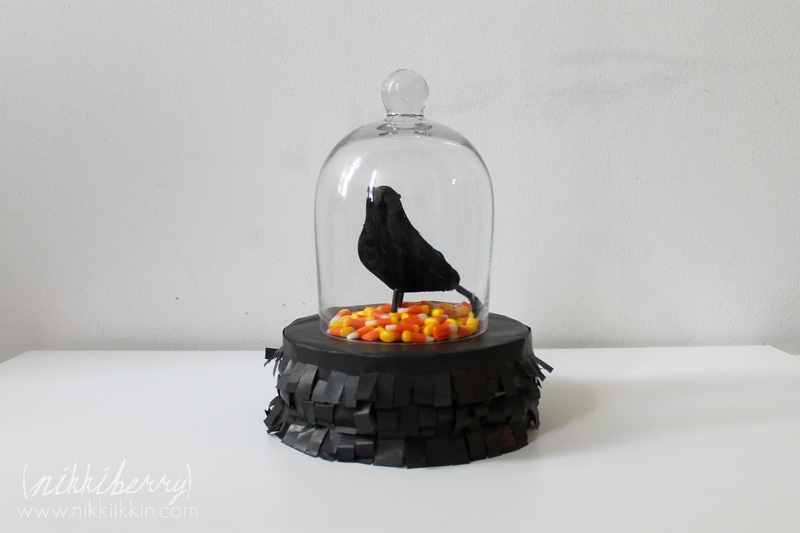 I made this Crow Curio from a glass dome, styrofoam rounds and tissue paper. Glass domes are wonderful decorative accents to have for all kinds of events. 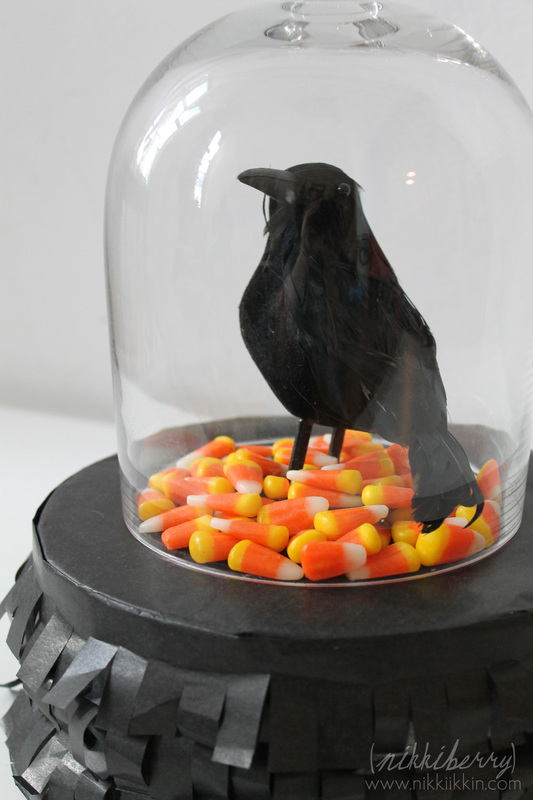 They can make a cupcake feel like a treasure or a crow feel like a Victorian curiosity! I have styrofoam rounds around my house because I use them in prop cakes, this one in particular was once had a life as a Candy Cake. 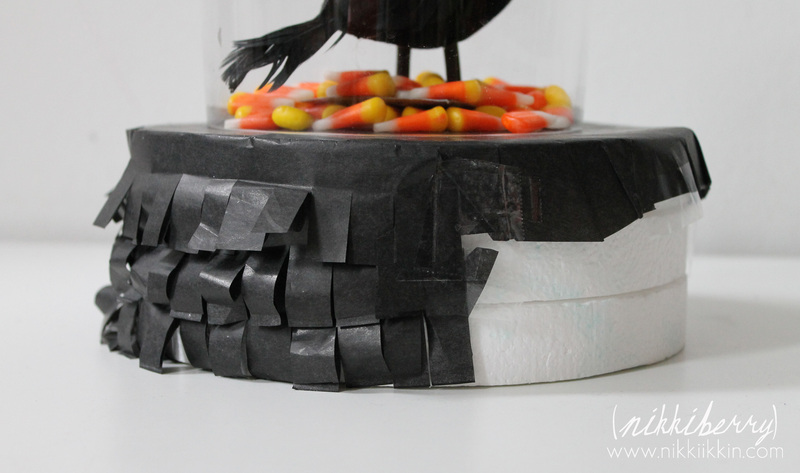 I first cut a large circle in the tissue paper and taped it to the top of the stack of styrofoam rounds. To make the fringe, I cut 4″ strips of tissue paper and folded it in half and then cut 1/2 inch fringe through both layers. I taped the strips in rows from the bottom up and made the tape hidden on the last row. Give the fringe a bit of a fluff and its ready to be topped with all sorts of creepy curiosities! 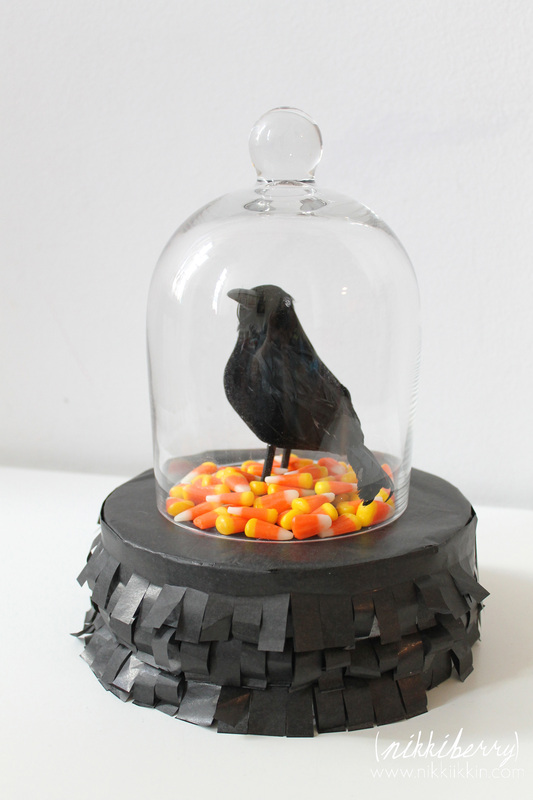 My crow sat on a bed of candy corn to break up the black and give a little whimsy but you could fill the dome with spider web and plastic spiders or miniature pumpkins, anything that you already have in you Halloween decorations stash could be featured . Love the glass dome! Where did you find it and the crow? Thanks:) this dome is taller than my cake plate domes, it was sold alone at a Pottery Barn and I picked up a whole flock of these little crows at a Dollar Tree, for just a $1 each!